Party with Julianna Deering and her new release, Death by the Book...and a giveaway! Welcome, ladies and gentlemen, to our celebration of our own Julianna Deering's second Drew Farthering mystery, Death by the Book! Hot off the presses! Congratulations, Julianna! It's only fitting that we celebrate a 1930's set murder mystery (a la Agatha Christie) in the drawing room of a sprawling mansion in England, don't you think? But of course, nothing untoward will happen during our party. No poisoned mocktails, no guests being strangled when they step onto the balcony, no blood smears on the floor. Just cider and conversation--both sparkling. How delightful that we are all wearing 1930's couture and perfectly-coiffed hair, and adorable shoes! Oh! Look! Servants bearing trays of nibbles. What a spot of trouble for Drew! All this tension is making me hungry. Club soda with a twist, ma'am? Please feel free to stay and enjoy the refreshments all day. Be sure to say hello in the comments so you can be entered into the drawing for Death by the Book! Winner will be drawn at random this Friday, March 7 11:59 pm eastern time, so don't delay! Another great mystery by Julianna Deering! I'm sorry but while you were talking I just sort of faded out there. All I can hear is Cary Grant. I am loving the dresses too. With enough gel I can keep some finger waves in place, and OH I LOVE THOSE SHOES! Congratulations Julianna! my copy is on my counter, and I'm looking forward to diving in! So did you take Cary up on a crudité or not? It's never too early for crudités. Or cream puffs. The dresses are lovely. I like the hats, too. Sigh. "...an antique hatpin with a cryptic message..."
Yeah, and Cary Grant, too. This whole post cries class. Thanks for putting it together, Susie. The story is fabulous! A thoroughly enjoyable read. Wow, I should've put more Cary Grant in the post. That's 2 for 2! Congratulations, Julieanna! I'm really looking forward to reading this book. Interesting choice of murder weapon. I'm curious about that for sure. Oh, could you excuse me while I take a stroll about the garden with waiter number two? Three for three on Cary Grant! My, my, ladies. Isn't the choice of murder weapon shocking? Oh yes, you've got to read this book soon! @Deb ~ Aren't the clothes great? @Anita ~ Yes, they did a wonderful job with the covers. SO period. #3 (coming in July) is my favorite. Thanks all of you for popping by! Are hatpins THAT big??? That's kind of scary! At the height of their popularity, they were 10 - 12 inches long and needle sharp. Definitely lethal. Looking forward to the post on hatpins, DeAnna! Congratulations! I'll take that red dress and a cocktail on the patio please. I think I'd want to wear the one on the left, though. It speaks to me, lol. i'm going for the young Harrison Ford. i LOVE, LOVE, LOVE your covers Julianna! must put this book on my wish list. hatpins as a murder weapon... love it! Actually, the hatpins aren't really the murder weapons, but they're used in the murders. you're entered into the drawing! Thanks for coming by! Cheese puff or crudite? Oh, waiters...! You can just stand here next to me while I decide. This could take a while. Congratulations, Julianna/DeAnna! Can't wait to read the book. 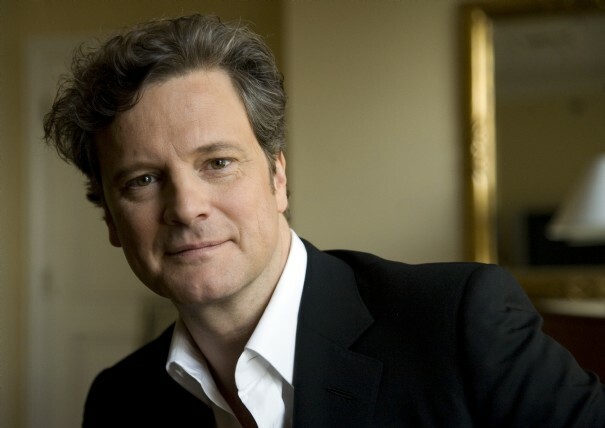 I burst out laughing at the photo of colin firth offering me a cream puff !! too FuN and FunNy ! ty for hosting (= you're the bomb ! Glad you're being celebrated today !! Oh, thank you so much. My Inkie Sisters are THE best, aren't they? Glad you're enjoying the party! Julianna's book is wonderful...you're entered into the drawing! Thanks for coming by, Faith Hope. And please enter me into the contest--I love the Drew Farthering books!! You got it, Cheryl! You're entered into the drawing, and you can have as many virtual cream puffs as you want. :) Thanks for coming by!